Nintendo of Europe have announced the latest additions to their WiiWare, Virtual Console and Nintendo DSiWare online services, bringing a wealth of new content. Highlights include Alien Puzzle Adventure, Oscar in Toyland 2 and Surfacer+, all hitting Nintendo DSiWare this week. Family Games is a collection of eight classic family pen and paper game. These timeless favourites for all the family will provide hours of entertainment and there are even special achievements to unlock along the way. Games include: Squares (Dots), Nine Men’s Morris (Mills), Safe Cracker, Matchsticks, Noughts & Crosses (Tic-Tac-Toe), 4 In-A-Row, BattleFleet and Hangman. Alien Puzzle Adventure is a fast-paced, colourful and cartoony puzzle game, combining Match 3 gameplay with a humorous and quirky storyline. As you set out to save the world from a mysterious chemical attack, armed with Professor Weinstein’s Pseudo-quark Generator Gun, you must neutralise packs of differently-coloured quarks over the course of thirty-five stages, by matching three quarks of the same colour. Can you help stem the tide and save the world? Oscar is back, with more great fun and zany non-stop action, set over seven new exciting Worlds; All Star Sports World, World of Toys, Blox World, Water World, Old time Toys, Travel Town, and Mech World. 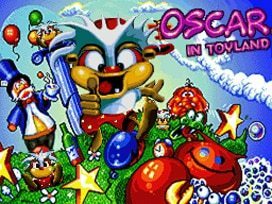 Your mission is to swim, fly and run through these Worlds collecting baby Oscars that have become scattered throughout the levels, armed with your secret weapon, a Yo-Yo that you can use to swing from platform to platform and also zap those nasty enemies in some of the craziest platform levels you’ll ever play. Surfacer+ is easy to pick-up and has totally innovative gameplay. Fill the screen by producing white flowers with your stylus. Control the size of your flowers and use the bonuses at the right moment. But watch out for enemies who pounce from either side of the screen. Control a clown to catch and throw back balloons hurled from the top of the screen in this puzzle action game released by Data East in 1997. If you line up three or more balloons of the same colour in a row vertically they will burst, but if you’re not quick enough the balloons will squash the clown, meaning it’s game over. Once you’ve caught the hang of bursting balloons, next you need to master combos and chains. The basic rules of the game haven’t changed since MAGICAL DROP II, but with 16 characters to play as and a new Magical Journey mode, there is so much more to explore in MAGICAL DROP III.